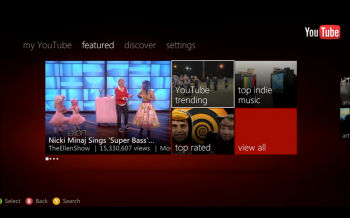 Talks with networks for streaming content through "Microsoft TV" have stalled. Part of the big push in Redmond these days has been making the Xbox 360 unit a home entertainment center. The updates to the Xbox Dashboard have been aimed at making it easier to see video content as much as it's been about Kinect support. But that's not the only initiative for cutting out the billion dollar cable tv market Microsoft had in store. A separate box on top of the TV would have been called Microsoft TV and might have provided content bypassing cable providers altogether. But when Microsoft solicited offers from cable providers and networks about how much it would cost to stream shows and movies directly through Xbox, executives balked at the sums quoted. Now, sources close to the talks say Microsoft has basically ended negotiations. "They built Microsoft TV, they demoed it for us, they asked for rate cards but then said 'Ooh ah, that's expensive,'" said an executive at a prominent media company who refused to be named. That doesn't mean that all content providers aren't working with Microsoft. At CES this week, Microsoft announced a partnership with News Corp. to provide Fox Broadcast, Fox News, IGN and The Wall Street Journal via the Xbox. Based on how that deal works out for both parties, it's definitely possible that Microsoft could reach out again to networks to reassess the market. "It doesn't mean they won't be back in another iteration. We'll have to wait and see," the same executive continued. As someone who recently cut the cord of cable to save more than $100 a month, I am definitely in favor of getting more TV content streamed over the web. So far, a combination of ESPN3, Hulu Plus, and Netflix beamed through my Xbox 360 and PS3 are doing fine, but being able to watch live sports or shows the minute they are broadcast would make me a very happy man. But come April, when season two of Game of Thrones is out, I will be forced to go back to sucking Time Warner Cable's teat.